Travel can seriously dry out your skin, especially if you are in a new and dry climate. Being in New York my skin got seriously dry (especially my hand) so I made sure to use hydrating lotion every morning and evening. I got Philosophy's Fresh Winter Morning lotion for Christmas and decided to bring it along. I am so glad I did because not only does it smell fresh (like a winter morning) but it helped my skin stay hydrated. So every once in awhile I change up my face wash/cleanser. I know....I know.....it's probably not the best thing to change up your skincare routine all to frequently, but every few months I usually give a new face wash a try if there is one I have heard great things about:) I have been hearing soooo much about Philosophy's face wash, specifically "Purity" and I personally was intrigued by their "Microdelivery Exfoliating Face Wash." Before I went on my trip I made a quick stop into Ulta and found a travel set of these two face washes from Philosphy. Since they were travel sizes and a great price I knew it was worth it to try them out (TIP: Buy the travel sizes of things before you know if something will work for you). Purity: LOVE this stuff and it definitely lives up to the hype! I use it to take off my excess makeup and it is so gentle. What I love about it is that it isn't overly "soapy" so its cleansing power is gentle on my skin and makes it feel refreshed. Plus, as someone who struggles with breakouts this hasn't made me skin worse or bothered my acne. I typically use this in my morning routine, and use it occasionally at night. 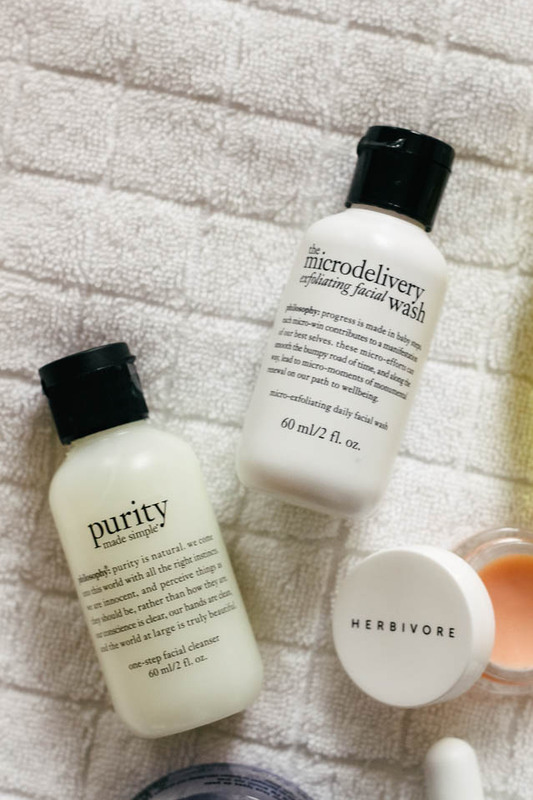 Microdelivery Exfoliating Face Wash: OH MY GOSH!!! Seriously fell in love with this stuff too! I love using exfoliating face washes in my routine to buff away dry skin and smooth things out. Since this is a microdelivery exfoliator the exfoliation is small and gentle and I love how soft it makes my skin feel. I used this every night in NY and it was a great way to buff away the impurities of the day. 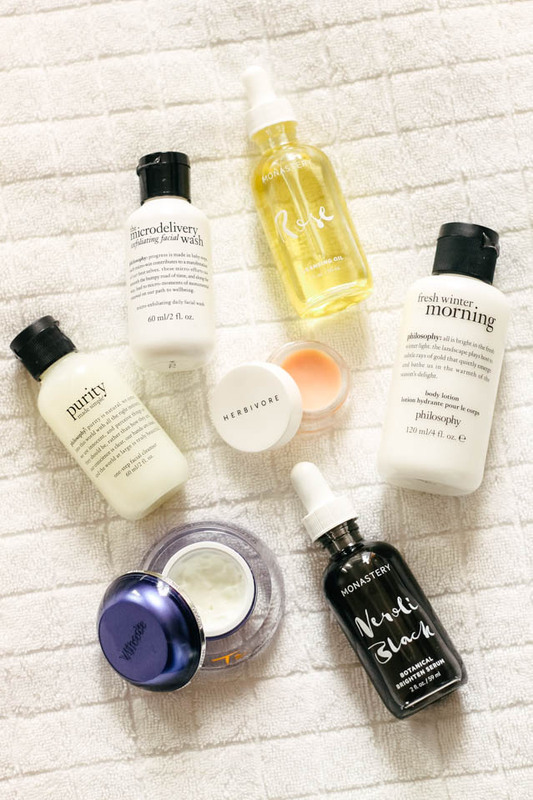 If you remember me mentioning in one of my past skincare posts I started implementing a "Korean" style skincare routine, focusing on more natural products (+ a LOT of steps) that help the general "health" of my skin. With that being said, face & skin oils are two things I have seen other bloggers and beauty gurus using and have always wanted to try them. I discovered MONASTERY through an Influenster group called Palm where am lucky enough to try out new products from unique small businesses. These two oils are so amazing & I am about to tell you why below! 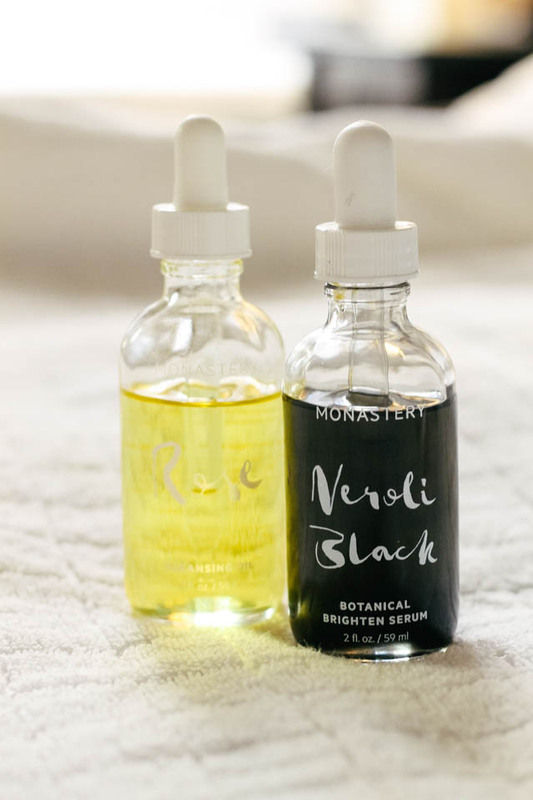 MONASTERY'S Neroli Black brightening serum is sooo good! 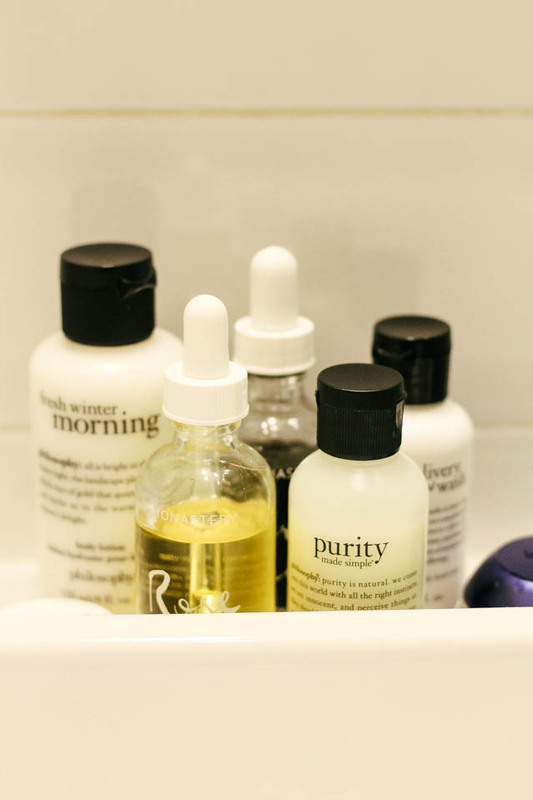 I have come to realize brightening serums & oils are a staple of my skincare routine. With everything my skin goes through (breakouts and acne due to hormones and stress......not fun) I am always focused on keeping my skin healthy and bright and Neroli Black has been a dream. This is a dry oil which soaks straight into the skin to rebuild cellular walls black English walnut oil (used to brighten dull skin) and regenerating squalane oil......not only does it smell amazing but it makes your skin feel and look amazing. Needless to say this oil had to come with me to New York because after long days, cold weather, and stress travel skin needs a brightening boost. 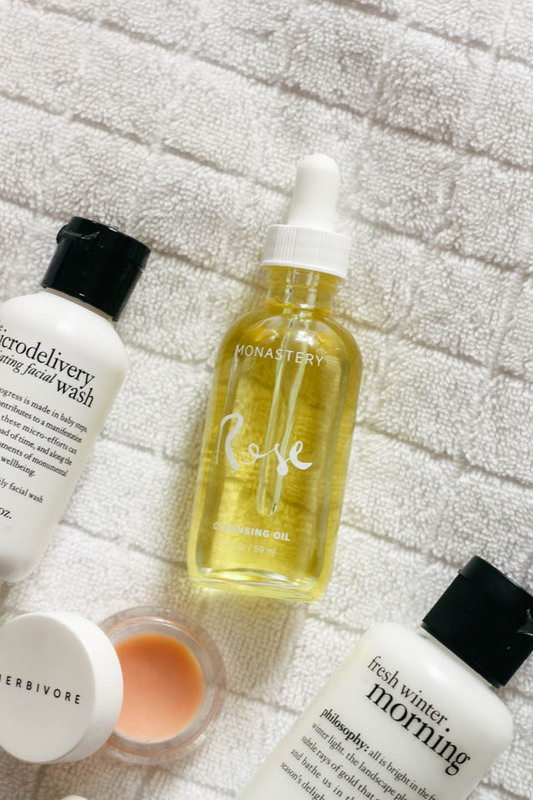 Part of Korean Skincare is using a cleansing oil and this rose oil from MONASTERY totally sold me! Anything Rose I am all for, and this elegant oil is so luxurious on my skin. I have used this to remove makeup (works great on eye makeup), renew parched lips, and even used as a moisturizer. I love that this oil is made with over 100 Edwardian rose petals and is gentle on sensitive and parched skin which I needed in New York. My skin got super dry being in the cold climate of NY so using this for more than a cleanser was a life saver! If you caught my blog post about my collaboration with VII Code you will know how much I LOVE this eye cream! I don't know if you are like me, but I get super exhausted when traveling! Between late night plane rides, early morning, and long days, not only was my skin feeling the brunt of travel, but my eyes showed the exhaustion :) However, with this Oxygen Eye Cream I was able to give my eyes a boost in the morning so I didn't look like a total zombie....lol! Needless to say, eye cream is a travel necessity. And so my rose obsession continues....with good reason! This stuff is magic! 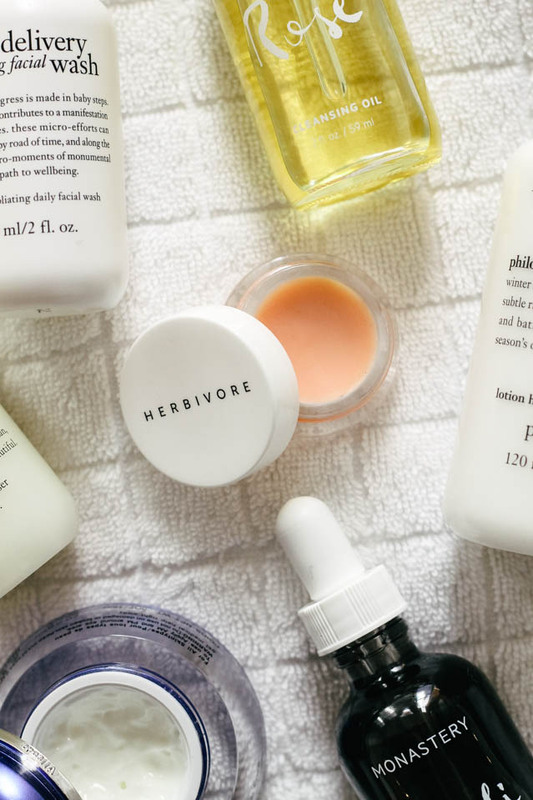 Not only does Herbivore's coco rose lip conditioner smell heavenly and feel amazing on my lips, but it keeps them incredibly moisturized and especially pampered. And the fact that it is coconut oil + rose makes it a must have. I received this lip conditioner through Palm in my Velvet Report Vegan Beauty Box and absolutely fell in love (apparently I have fallen in love with a lot of skincare products recently). I am constantly applying chap stick throughout the day, so this lip conditioner is a perfect way to start my morning and end my evening and it especially helped my lips stay hydrate in the dry cold of New York. Through the ups and downs and changes that come with travel, it is important to keep your skin a priority, especially in the winter. 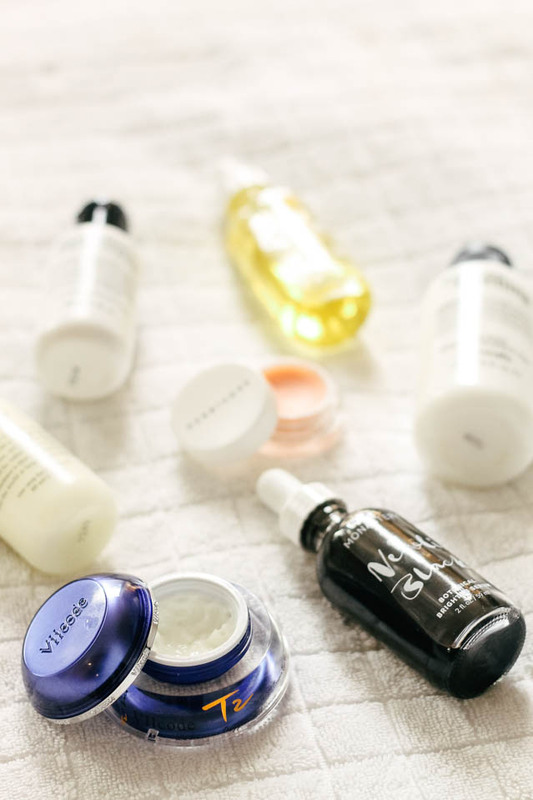 Not only are these products my go to when it comes to travel skincare, but they have quickly become staples in my daily skincare routine and I don't think I could live without any of theses. What are your go to travel skincare products? It's been especially effective on the melasma on my fore head, although it is also made my melasma mustache considerably lighter.